The first match of the 2018 Call of Duty World League at CWL Dallas was a thriller between EUnited and Evil Geniuses. The EUnited squad of Clayster, Arcitys, Prestinni and Silly triumphed over Apathy, Aches, Nameless and Enable in a fiercely contested match on the main stage. The opening map was hardpoint and was contested in Saint Marie du Mont. This was a whitewash in all senses of the word. EUnited got off to a blistering 55-0 start and never looked back from there. Led by the twins of Arcitys and Prestinni, and with great teamwork, they ran out winners by over 200 points in a very convincing opening to the series. EG tried to mount a comeback on London Docks search and destroy, and got off to a great start with a lightning quick first round win. With fast paced and aggressive rounds, EG took a 3-1 lead, before EUnited came back and tied it up at 4-4. In the ninth round, Silly claimed a huge three piece and led his team to a 5-4 lead, and they claimed the next round to go up by two in the series. The series headed to the first capture the flag, this one on Ardennes forest. It was EG who struck first, Apathy dodging bullets to get the flag through. Just before half time, they went 2-0 up and EUnited had it all to do in the second half. They came out fighting and captured a flag almost straight away to give themselves hope, but EG put in another to take the series to game four. The deciding game was to be hardpoint on London Docks. After Eunited ran away with the first hardpoint game, EG were looking to avoid a repeat of that. It was a much more even start to the game and EG took a 100-50 lead around halfway through. Aches, who was posted missing from the first hardpoint game, was really turning up in the second and leading his team to what looked like a certain win. At 207-110 in favour of Evil Geniuses, it looked like there was no way back for their opponents. However, EUnited came storming back and ran out 250-247 winners with some huge plays. This meant that Eunited took the series 3-1 and started off 1-0 in pool play. A huge win for the team as they look to start the CWL season on a high, and Evil Geniuses will need to pick themselves up and get ready for the rest of their pool play matches, which will not be any easier. 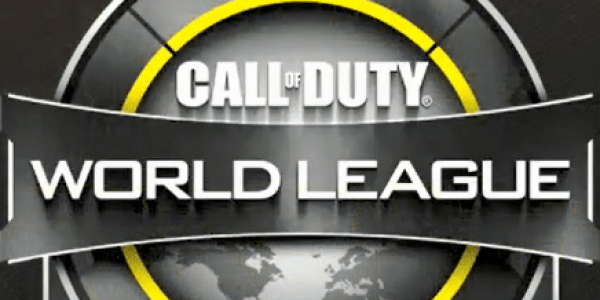 Previous Post The Greatest Series in the History of COD eSports?